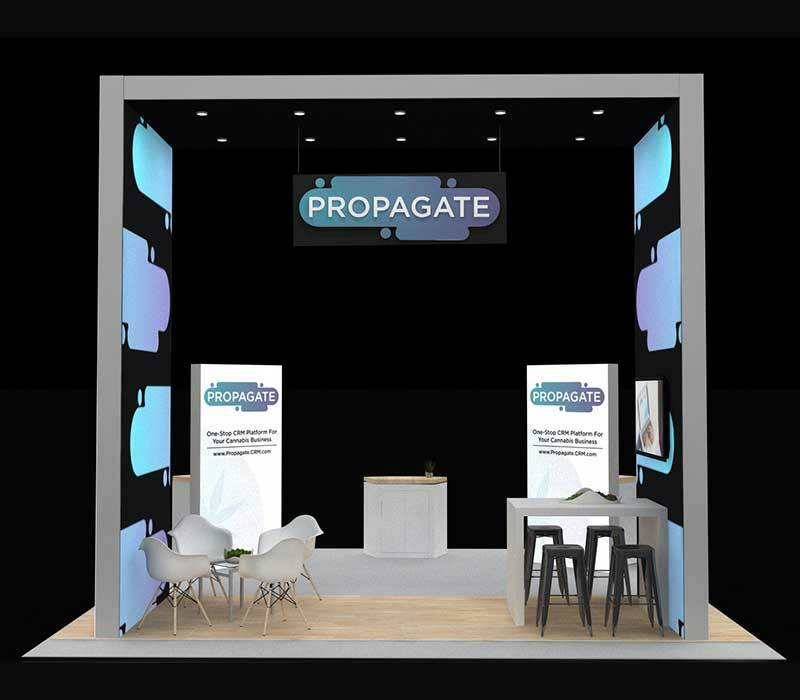 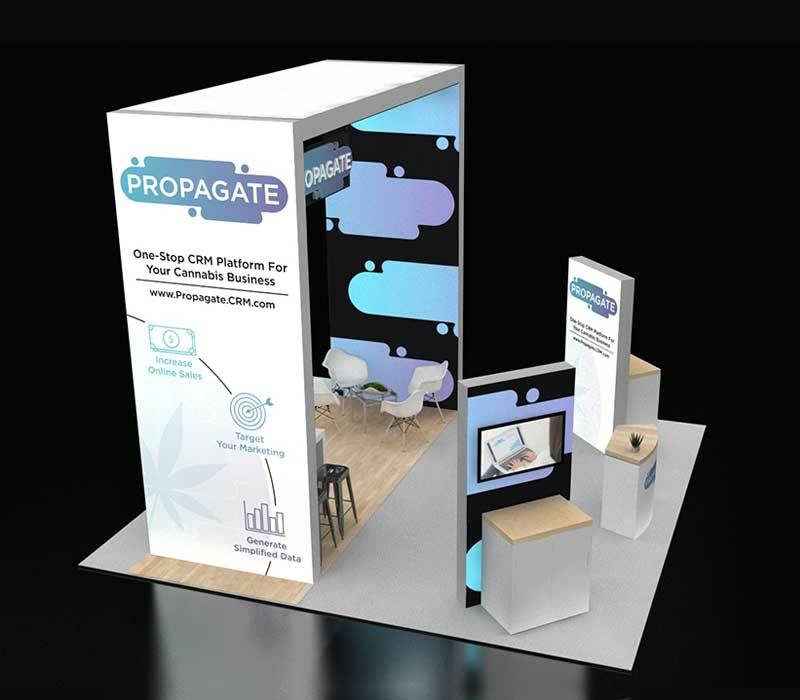 Illuminate your booth space with this 16-foot lightbox arch and two free-standing lightbox demo stations. 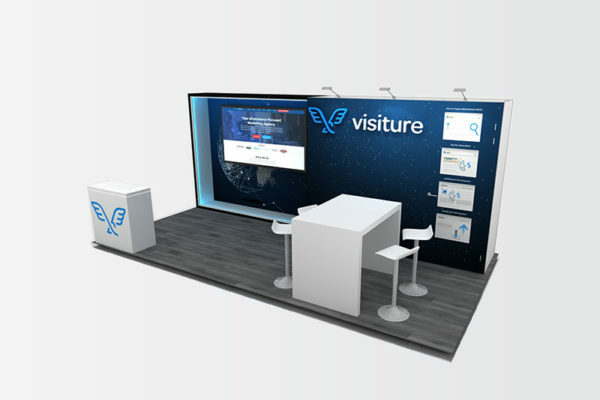 This 20 x 20 MJBizCon trade show display will visually make an impact. 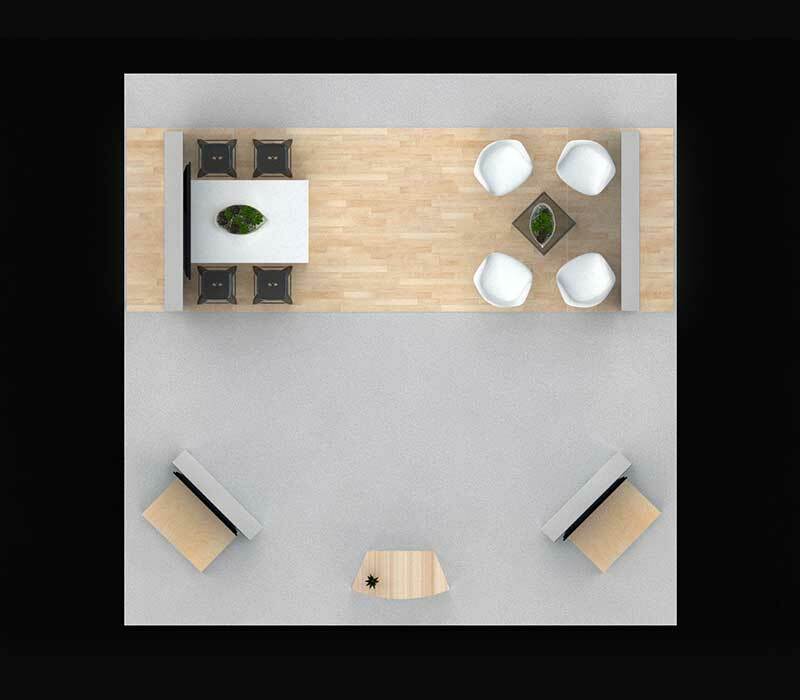 Fabric graphics create a seamless, clean look and custom wood countertops provide a contrasting accent. 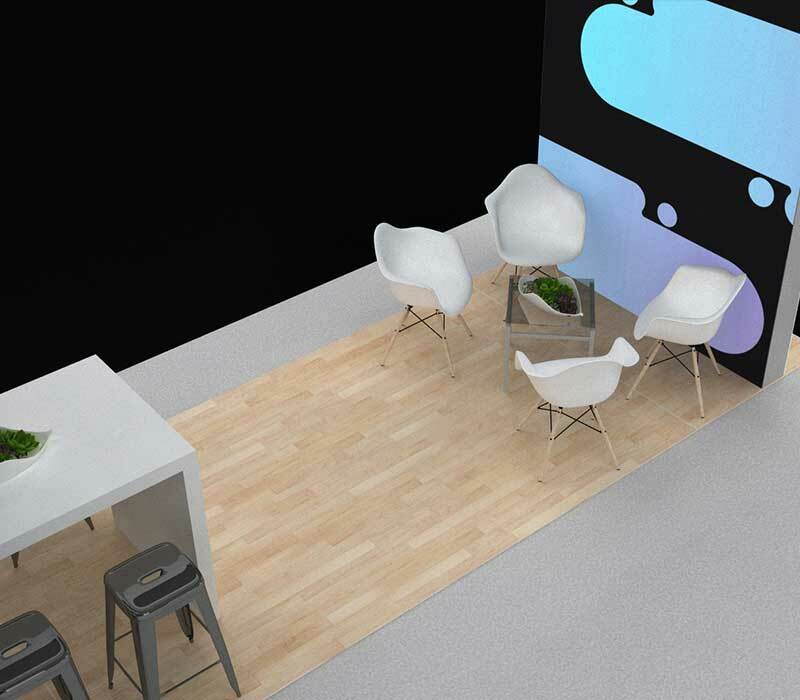 Under the arch are two separate seating areas for more personal meetings or networking conversation. 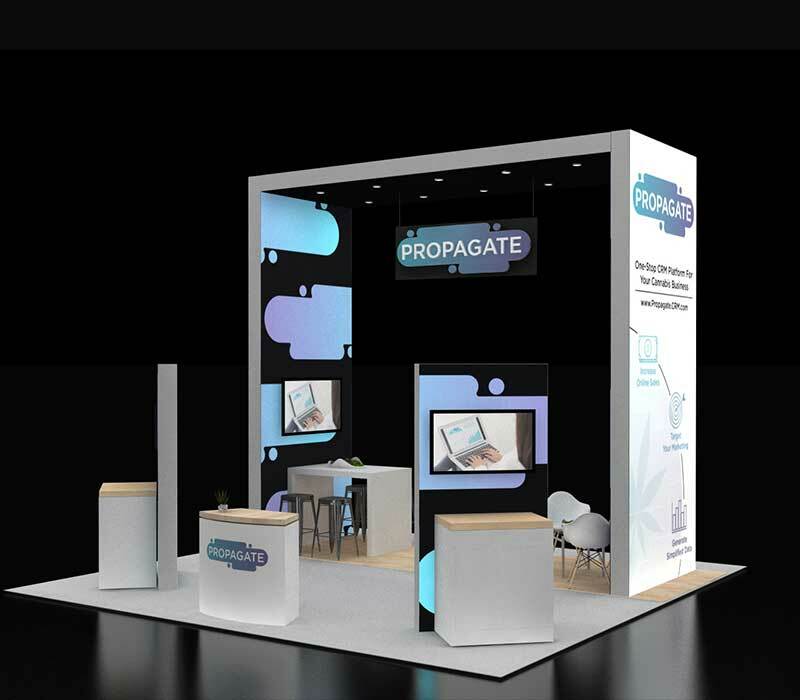 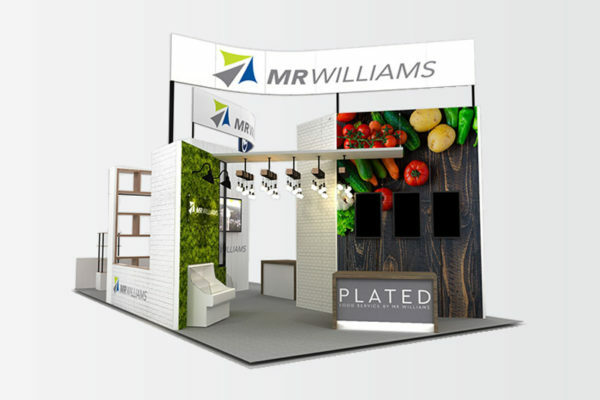 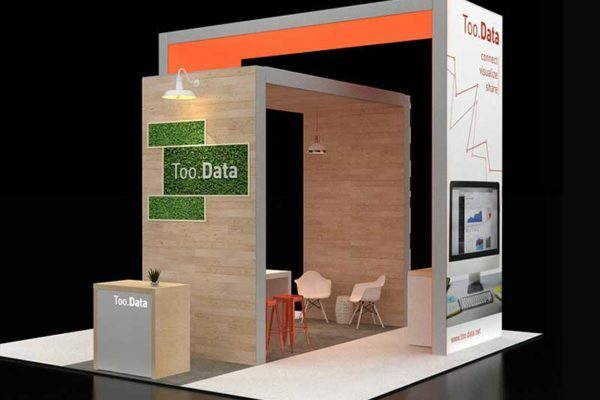 This booth also features a double-sided, hanging 3D logo that will make your brand visible from a distance without the expenses of a hanging sign.